Apartment A(5). The closest beach is 30 meters away. 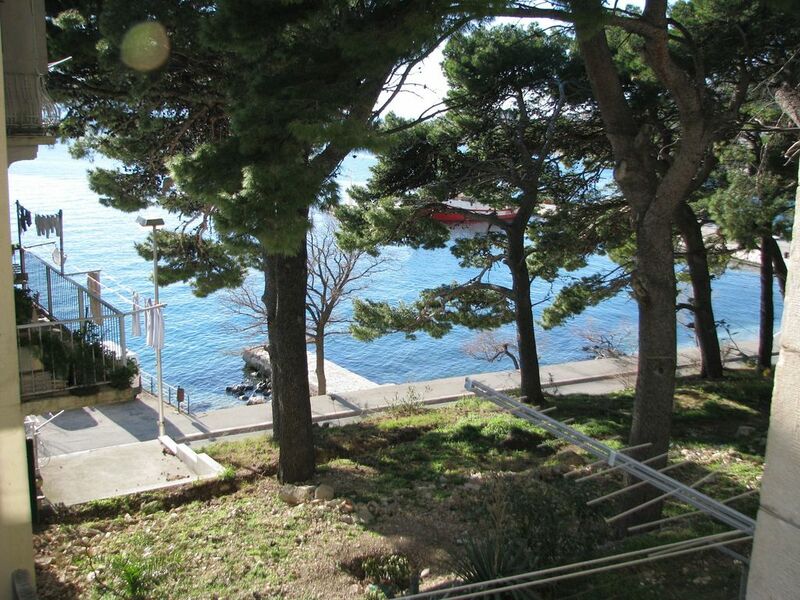 The property is 30 meters away from the coast. The town center is 100 meters away. BEACHES CLOSE TO THE PROPERTY: pebble beach, sandy beach, concrete beach, the beach has the Blue Flag - this is a special mark for the clean sea and available facilities on the beach, beach parties. DISTANCES: The distance to the closest beach is 30 meter. The distance to the sea is 30 metar. The distance to the town center is 100 metar. Grocery store - 100 m. Closest restaurant - 150 m. Closest infirmary/hospital - 100 m. Closest public transport (bus etc) - 100 m. Airport - 40 km. Train station - 25 km. Ship / ferry port - 25 km. BASIC FEATURES: Apartment type: A1. 5 bed/s for adults. Apartment capacity (adults): (5). Category of apartment is 3 stars. Apartment size is 56 m2. The apartment is on the first floor. Number of bedrooms in the apartment: 2. Number of bathrooms in the apartment: 1. BEDROOM (2): Flooring: parquetry. In the bedroom is double bed. Bedding is available to guests. LIVING ROOMS: kitchen and dining room in the same room, living room is in a separate room. Flooring in the apartment: laminate. EQUIPMENT: TV set, SAT-TV, couch/sofa, smoking allowed inside the apartment , free heating (air conditioning), air conditioning in the hallway (included in price). KITCHEN EQUIPMENT: table and chairs, kitchen sink, hob with four cookers, electric and gas hob, oven, refrigerator, freezer, microwave, iron. VIEW FROM THE APARTMENT: partly sea view. BATHROOM (1): Bathroom size is: 4 m2. Equipment in the bathroom: shower cubicle, toilet, washing machine, tiles, hairdryer, bath towels. UNIQUE BENEFITS: courtyard, free parking close to the property.